Assuring India Inc of NDA's commitment to carry forward economic reforms, finance minister Arun Jaitley said the government would come out with more steps to rationalize subsidies. "I had a series of meeting with the expenditure management commission. They are effectively working on some very valuable suggestions with regard to rationalization of subsidies... In the next few months ... may be earlier than that they will be able to come out with some interim recommendations to us so that we can proceed with rationalization in that direction", Jaitley said. Recalling the government's decision to link the diesel prices with market price, the minister told the India Economic Conclave said that it would help in reducing the subsidy burden of the government. Besides, the government has recently decided to give direct cash subsidy on pilot basis to LPG customers in select cities. The Centre had set up a commission under former RBI governor Bimal Jalan to suggest steps to rationalize subsidy and help the government in effectively bringing down the fiscal deficit. The government currently provides various kinds of subsidies which run into billions of rupees. It was pegged at Rs 2,510 billion for 2014-15. Jaitley expressed confidence that the government would be able to push the insurance and the GST bills in the current session of Parliament. On the government's views on a joint session of Parliament to push the bills as it does not have a majority in the Rajya Sabha, he said: "We don't want to use the last resort of a joint session for legislations. But if it becomes inevitable that's a constitutional remedy." 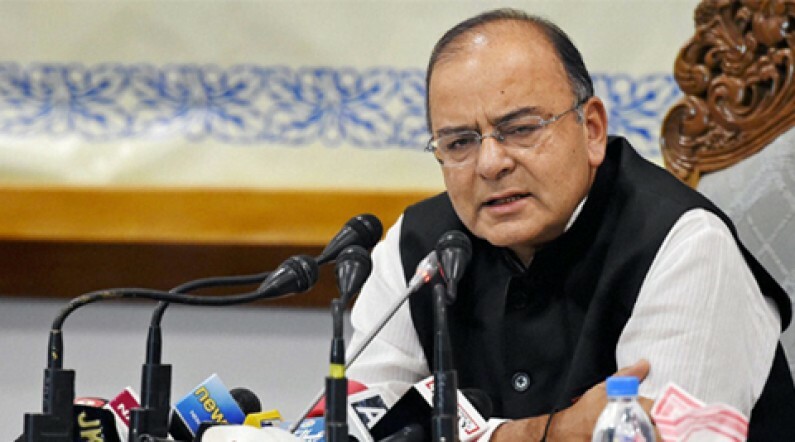 Calling upon revenue intelligence agencies to enhance cooperation with their global counterparts to check tax evasion and smuggling, India's finance minister Arun Jaitley said free trade should also mean fair trade. While inaugurating the 2nd Regional Customs Enforcement conference in New Delhi, the Minister stressed that effective steps to curb tax evasion and avoidance are necessary to ensure that “free trade remains fair trade”. He said there was a time when the incentive for tax evasion and smuggling was high. However, with the decline in tax rates, tariffs and duties, the “incentive for (financial malpractices) is going down”. India has been vociferously raising the issues concerning tax evasion and avoidance at several international meetings, especially at the G-20 deliberations.